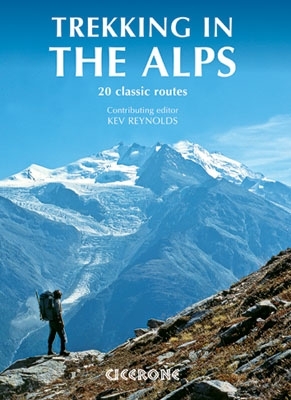 An inspirational walking guide to 20 summer treks in the European Alps in Italy, Austria, Switzerland, France and Slovenia, by 8 Alpine trekking experts, including the classics such as the Tour of Mont Blanc and lesser-known routes like the Traverse of the Slovenian Alps. Illustrated with clear overview maps and route profiles throughout. All the rich scenic diversity for which the Alps are renowned is celebrated here, while the 20 treks described include well-known classics as well as newly-created multi-day routes. The eight talented writers and photographers brought together to produce this book are among the most experienced of Alpine trekkers. Between them they have explored every corner of Europe’s premier mountain range, written dozens of guides and, in some cases, led trekking holidays there in order to share their enthusiasm for the Alps with other walkers. And that is the prime motivation for Trekking in the Alps & an inspiration and a celebration of the very best of these mountains.